Excited and energetic we step onto the plane. We begin our journey from Calgary, Canada to Brussels, Belgium. The Canadian Battlefield tour 2009 commences. Upon arrival we head for the city of Bergen op Zoom, in the Netherlands, and the Bergen op Zoom Canadian War Cemetery where 1087 Canadian soldiers and airmen, who fought and died in 1944 during the clearing of the Scheldt Estuary, are buried. 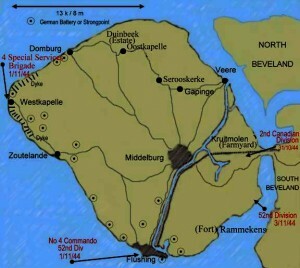 Next, we visit the Walcheren Causeway (or what’s left of it, the “island” of Walcheren has been completely reclaimed since the war) before continuing to the city of Veere and ending our day in Middelburg. Our journey takes us from the Netherlands to Belgium where we visit the Canada Museum in Adegem. 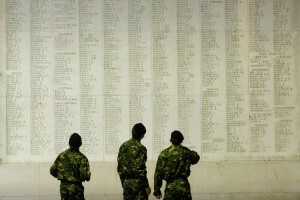 The museum was created as a tribute to the Canadian soldiers who liberated Belgium. Next, we lunch in Brugges before making our way to the German cemetery at Langemark, the Essex Farm and Poperinge. Checking-in atÂ Ypres, weâ€™ll attend the Menin Gate ceremony at 8:00 pm and spend the remainder of the night exploring Ypres. We start the day with a visit to the Flanders Field Museum, followed by the Sanctuary Wood Museum and Hill 62. After lunch we will make our way to the town of Passchendaele to the Crest Farm Canadian Memorial and the Tyne Cot Cemetery, the largest Commonwealth cemetery in the world. 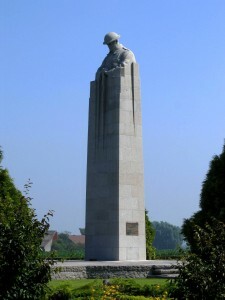 Before heading to Arras for the evening we will visit the St. Julien Memorial. On the horizon is Vimy Ridge, the location of what many consider to be the birth of Canadian nationalism. Weâ€™ll take the morning to explore this cornerstone of Canadian military history, and enjoy lunch at Cafe lâ€™Erable, in Givenchy-en-Gohelle, a short jaunt from Vimy. Weâ€™ll depart for the Beaumont-Hamel memorial and spend our evening in Dieppe waiting for the dawn before we walk its beaches. As the morning passes weâ€™ll walk the beaches of Dieppe, Puys and the Bleu Beach. Weâ€™ll show our respect to those buried at the Dieppe Canadian War Cemetery and remember the tragic day as we look upon the monuments. We will hit the road, perhaps stopping in Honfleur for lunch, before continuing on to Bayeux, home of the Bayeux Tapestry, one of the oldest surviving complete tapestries in the world. We’ll have a chance to view the tapestry and enjoy the grand architecture of the Bayeux Cathedral before settling in for the night. In the morning we will head to Courseulles-sur-Mer to explore the Juno Beach Centre. After a guided tour of the centre we will enjoy a picnic lunch. In the early afternoon weâ€™ll proceed to the Beny-Sur-Mer Canadian War Cemetery to pay respect to the thousands of soldiers and airmen who died during Operation Overlord in Normandy. Finally, our journey takes us to the Pegasus Bridge Memorial commemorating the successful glider assault, on the night before D-Day that secured this crucial allied objective. Our day will slowly set with a long drive to the City of Lights, for some evening free time in Paris. 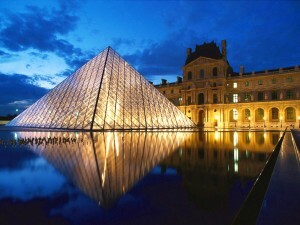 The Louvre Museum opens at 0900 hours. Weâ€™ll explore the galleries all morning before venturing through the streets of Paris on a guided tour. We’ll of course see the Eiffel Tower, the Arc de Triomphe and more. With the last night of the trip upon us, we reminisce our journey while enjoying a group dinner in the artist’s quarter. With a satisfied feeling, and memories for a lifetime we depart for home and a chance to share our experiences with friends and loved ones.